Unable to fit Super Meatboy into their release schedule, LRG let Best Buy fulfill the orders. That seemed to work well. Super Meatboy is the follow up to the original Flash game made in 2008. So, Meatboy has been around for quite a while and has appeared on several platforms - Xbox 360, Microsoft Windows, OS X, Linux, PlayStation 4, PlayStation Vita, Wii U, and now on the Nintendo Switch. Brought to market by Limited Run Games, they weren't going to be able to deliver it in a timely manner due to other games they are working on. Having made arrangements with Best Buy to sell some of their titles, they let Best Buy fulfill Super Meatboy orders. I got an email from my pro-order and went to my local store to pick it up! There were a few Copies of Super Meatboy left on the shelves. I'm interested to see who they sell. Five copies of Golf Story are still on the shelf after a month or so. I also see a slew of Yoka Laylee games. I'm surprised these gems aren't flying off the shelf. What's up with that!?! It's exciting to see a popular indie game come to retail shelves in physical format. 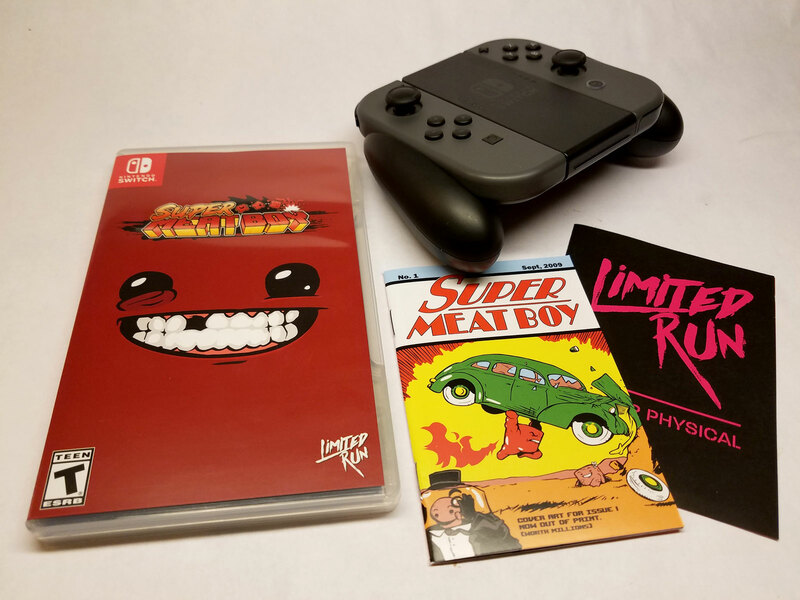 A lot of gamers find the convenience of digital downloads outweigh the benefit of a physical game media, but there's something enthralling about holding a cartridge like Super Meatboy in your hand and seeing it's case on your shelf. Modern gamers may scoff at that, but they've experienced gaming through a headset, while others of us sat next to our friends on a couch playing hours of Mario Kart! 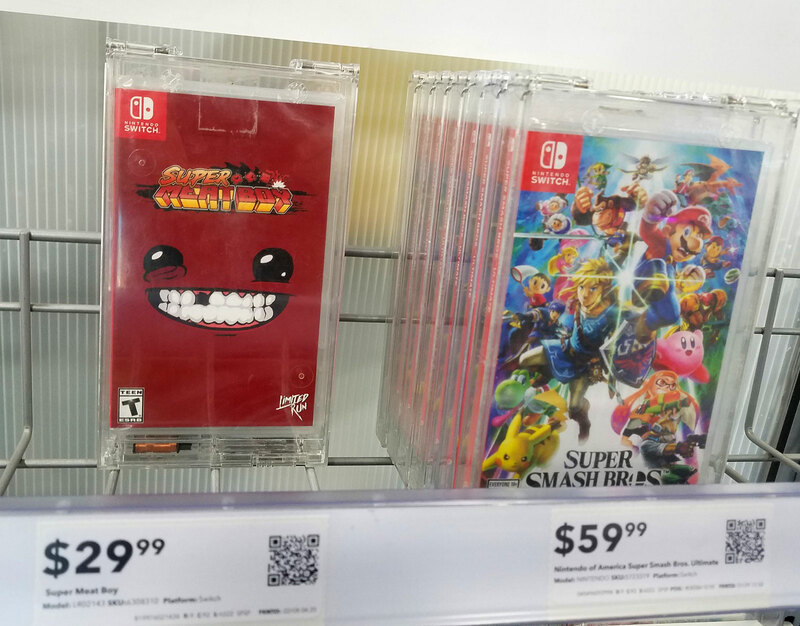 With fond couch memories of multi-player gaming, it's cool to see a game like Super Meatboy come to Switch as a real cartridge!